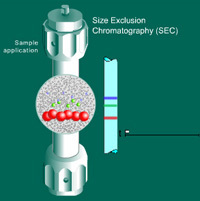 Som autoriseret forhandler kan MD Scientific tilbyde Tosoh Biosciences omfattende serie af kolonner til enhver type oprensning. Hvis du har brug for at få hjælp til at finde ud af, hvilken type kolonne du har brug for, så kontakt os bare. 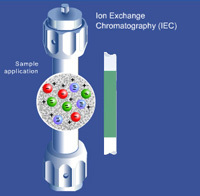 For over thirty years Tosoh has continued to be the world leader in the analysis of proteins—our silica based TSKgel® SW columns are the industry standard for size exclusion chromatography (SEC) of proteins. 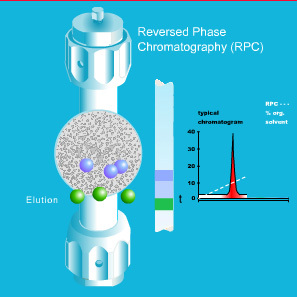 The “mode” of chromatography is usually defined by a combination of a certain stationary phase type with a certain mobile phase type. 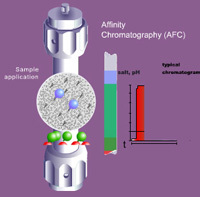 In order to generate a chromatogram that is suitable for qualitative or quantitative purposes, bonded phase chemistry, column dimensions, and particle and pore sizes are parameters that need to be optimized. Gå til Tosoh Bioscience’s hjemmeside for et fuld overblik over alle kolonner. 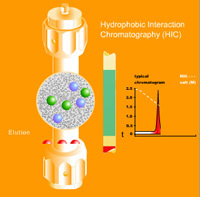 Se katalog over alle typer HPLC-kolonner fra TosohSe katalog over alle typer HPLC-kolonner fra Tosoh.